Humanity is a divinely inspired, multidimensional species with the internal capacity to transmit and receive earthly and cosmic wisdom bound within the natural, spiritual and universal laws governing all of creation. The truth and knowledge of these vital laws have been lost under the firmly entrenched reign of predatory authority whose deceptive tendencies have led to the loss of our internal sovereignty and external freedom. We stand at the crossroad of crisis whereupon we must correct the erroneous beliefs of our misallocated allegiance by which to restore harmony and order upon our suffering planet. The guiding principles of natural law grant us the reconciling force with which to meet the opposing presence of manifested evil, and to return to our role as loving co-creators. Our mythic return to the beauty of the garden demands we awaken from our technological trance, remember the lost arts of ancient wisdom, heal our ancestral shadows, and steer our unified, imaginative destiny in vibrational alignment with the divine flow of creation. 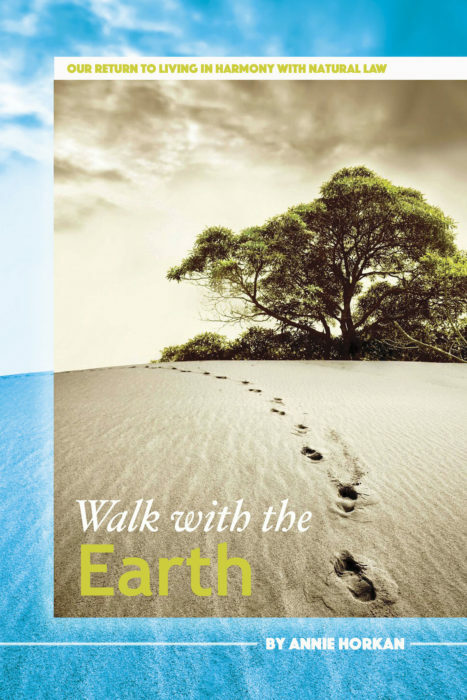 Our choice to walk with the Earth is our sacred mission of stewardship and the path to take our planet back.